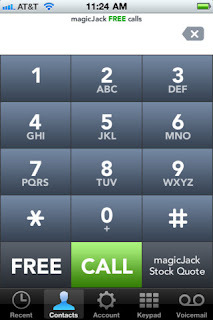 If you're a customer of MagicJack here's some cool news for you: Now you can download the MagicJack app on your I-Pad/Phone and use your current number, with that app! Pretty cool huh? For example, I have MagicJack at home, but before I could only use that number, a 213 number, when I plugged the device into a computer. 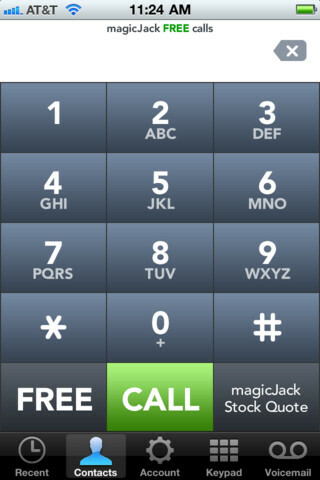 But now I can still use that same number by logging onto my MagicJack app on my I-Phone! (I'll get the I-Pad yet) Now I can make calls using that same number anywhere I can get Wi-Fi or 4G service speed. So if I'm at Hedonism II I can jump on their Wi-Fi and then make a call even if I can't get cell phone reception! Sure, I could have done it before by dragging along my MagicJack device, a laptop and a phone, but this is so much easier! All of this is FREE, the app is free and you don't have to pay for any talk time. You do pay around $40 per year for the MagicJack but now it's even more useful so it's a hot buy in my opinion. UPDATE: This is so groovy it's even for NON-MagicJack customers. But when you call you get some goofy looking number as opposed to a "real" phone number like you get with your paid MagicJack device.